I heard that Del. Carr’s speech was very well received and thought that I would post it here. You can also listen to his speech here (starts at 3:19). Before I begin, Please give a warm welcome to my family. My wife Barrie and my sons Miles, Toby and Oliver and our friend Doris are in the gallery. It is a dream come true for me to be able to serve in this chamber with all of you and to represent my constituents. I want to acknowledge all of the friends, family, and supporters over the years who helped me achieve my dream. We are going honor Dr. King tonight by listening to him in his own words and song. This past summer while sifting through family possessions visiting my mother in Ohio, I stumbled on a cassette tape. My late grandmother Dorothy Douglass had served as the assistant principal at Addison Junior High School in Cleveland. I had heard that she had met Dr. King and recorded his remarks on the occasion when he visited her school and spoke to the assembled 7th, 8th and 9th grade students. I had been told that she sent the original tape to the King Center archives in Atlanta. But I did not know that she had kept a copy. I made a Facebook posting about my finding this 50-year old time capsule. My friend, audio engineer Brian Whitney told me “Don’t play it! Bring it to me!” And I thank him for digitizing, preserving and enhancing the sound quality of the tape. No recording of this event is available on the internet. The only places it has been heard is at a few small gatherings of people where I have shared it. I learned that this school assembly on October 22, 1964 was Dr. King’s very first public appearance after being awarded the Nobel Peace Prize. Lyndon B. Johnson had been sworn in as president less than a year ago and was on the ballot in the presidential election set for twelve days later. 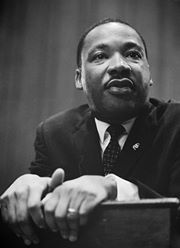 Dr. King and LBJ had partnered on the landmark Civil Rights Act of 1964 which had been signed into law just a few months earlier. King’s role in Ohio was that of a barnstorming campaigner working to get out the vote in the largest swing state to ensure their continued partnership. Events a few months later including those in Selma, Alabama culminated in the passage of the Voting Rights Act of 1965. King would return to Cleveland the following year to help elect Carl Stokes, the first African American Mayor of a large US City. To better understand why my grandmother prized the recording you should know a little bit about her life. Geraldine Dorothy Gordon was born in 1911 to George and his wife Mary. George was an African American who grew up near Hagerstown. Mary was white, a Canadian immigrant of Scottish descent. As an interracial family, they were part of the black community. Their marriage was legal in Ohio but not in many states including George’s home state of Maryland. Dorothy was the first person in our family to earn a college education. At Kent State University during the Great Depression, she and the other black students were excluded from living on campus because of their race. After earning a degree in education, she found work as an elevator operator until landing a substitute teaching gig. 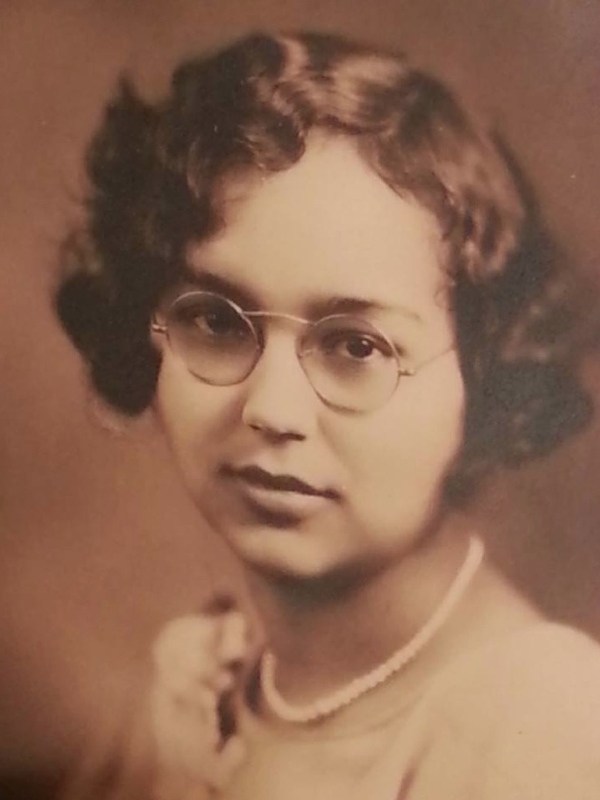 Teachers in the Cleveland Public Schools were not allowed to be married, so her career was interrupted when she wed my grandfather Carl Douglass, an African American entrepreneur. She resumed her career after my grandfather’s passing, and went on to become a distinguished educator serving as a teacher, counselor and assistant principal. The highlight of Dorothy’s career was her work as an administrator of a Ford Foundation program and Project Manager of Transitions helping seventh grade students labeled as troubled. Her peers were amazed at the results she achieved when the students’ performance exceeded that of eighth and ninth graders. As her grandchildren, my sisters and I benefited from Dorothy’s high expectations and her willingness to give her time, her presence and her encouragement. But her generosity extended to many other lives that she touched. Dorothy saved the recording of Dr. King because she knew it was historic and educational, and she wanted it to be shared. Dr. King speaks for about ten minutes and the assembly ends with a sing along led by his colleague, future Atlanta Mayor and UN Ambassador Andy Young. And if you are so moved, please feel free to sing along. Al CarrDr. Martin Luther KingGeraldine Dorothy GordonJr.